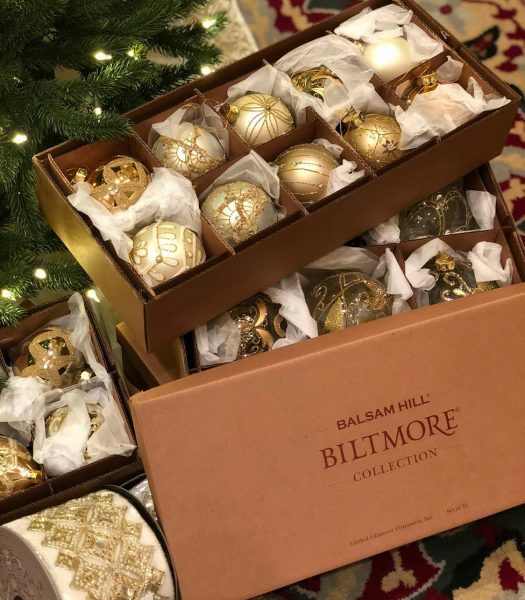 We invited a few of our friends to stay at The Inn on Biltmore Estate to showcase their creativity and style by decorating Balsam Hill trees with the new Biltmore collection. 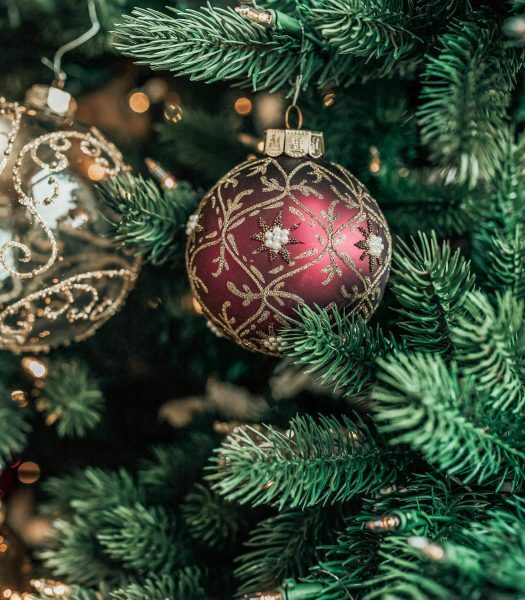 Here are four Christmas tree looks to inspire you as you decorate your own. “I chose an all-gold theme to show off the details and elegance of the collection,” says Courtney. 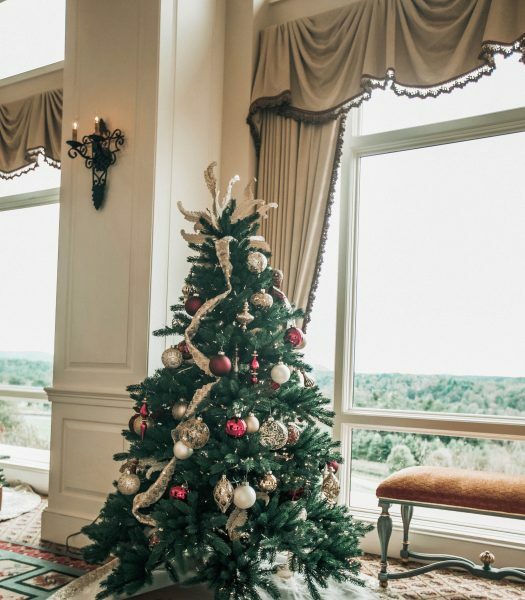 The Biltmore Spruce Tree’s full profile and dark foliage highlights the rich colors and intricate details of the ornaments, embellished ribbon, and glittery leaf picks. Courtney's design was inspired by her stay at the Inn. "It is quite charming and is nestled in beautiful mountains and countryside," she says. 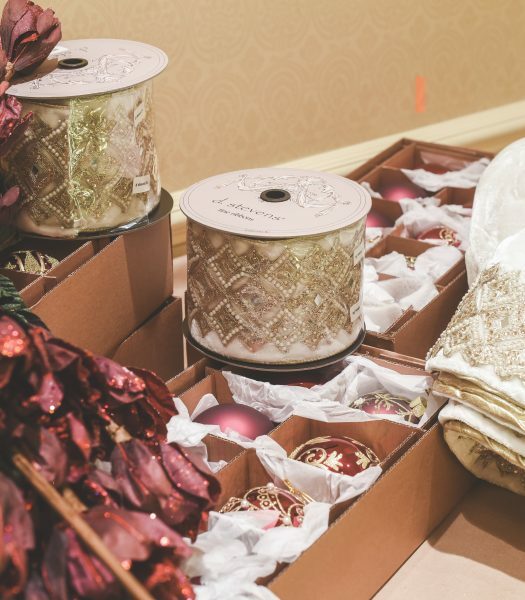 A closer look at the glass ornaments, glittered leaf picks, and thick velvet ribbon with beading and crystals. 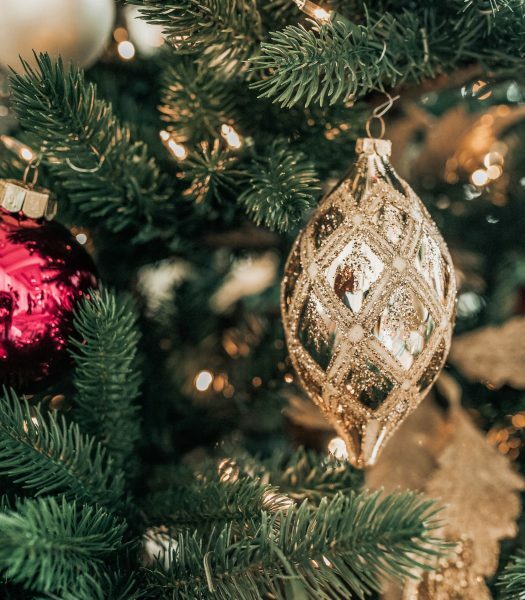 A design pro tip: Tuck ornaments inside a bit farther to fill in areas to create depth and add the longer drops and finials a little farther out on the outer branches. Make your Christmas tree sparkle with mouth-blown glass ornaments from Biltmore Legacy Ornament Set. Courtney was inspired by the inn’s charm and the beauty of its surrounding mountains and countryside. 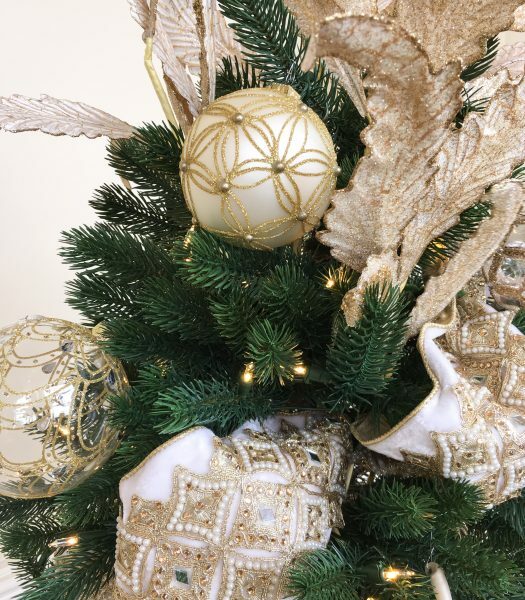 She chose a monochromatic gold color palette to highlight the intricate details of the ornaments. She kept the look simple yet elegant, sticking to the tree’s natural silhouette. When decorating, Courtney says it’s a good idea to look for details that strike you then build a design around them. 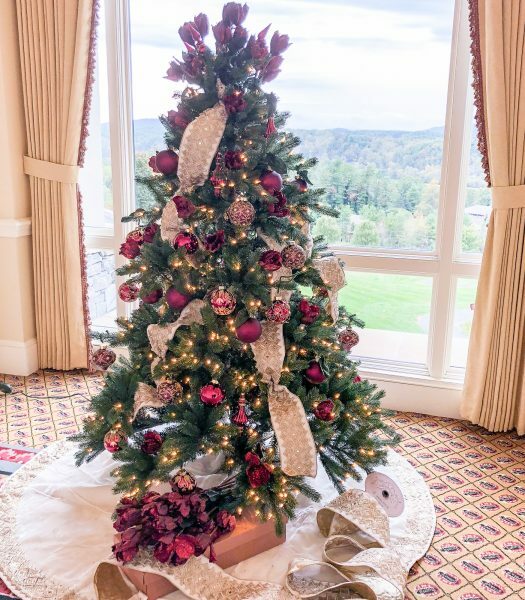 Robin decorated her lifelike tree with the Biltmore Legacy Burgundy Ornament Set, the show-stopping gilded ribbon, and the elegant beaded tree skirt that added the perfect finishing touch. “A simple go-to for a tree topper would be using picks to create burst at the top of the tree,” says Robin. 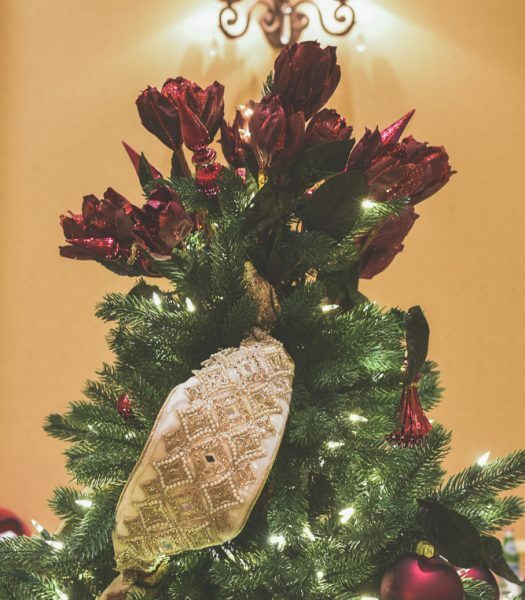 “I wired five of the finial ornaments with several of the gorgeous magnolia picks." "When I decorate my home for Christmas, I want to evoke a feeling," Robin adds. "Using both burgundy and gold evokes an air of subtle elegance." You can do so many things with this exquisite gold and champagne ribbon. Robin’s goal was to evoke a magical feeling. 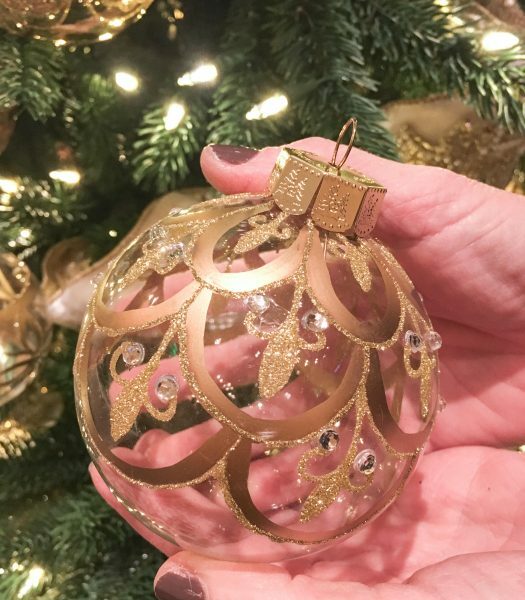 She used the burgundy and gold ornaments to add subtle elegance to the tree. Her favorite part was fluffing the branches to give it fullness and shape. The tree was topped off with a striking arrangement of magnolia picks and finials, which Robin had fallen in love with. She adds that a show-stopping ribbon would make a great tree topper alternative. 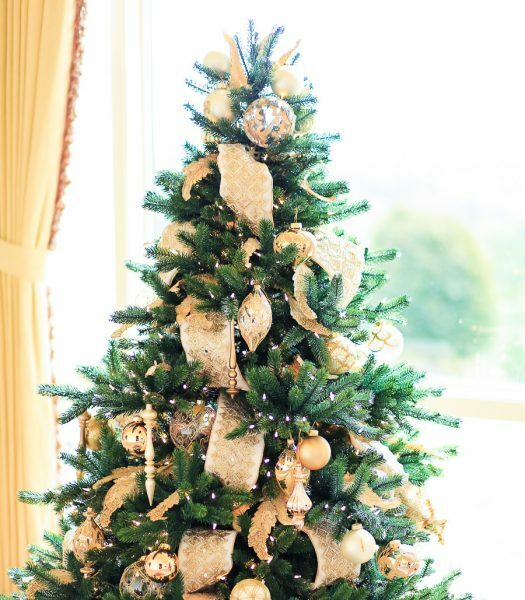 Christy and Amy decorated their Biltmore Spruce Tree with a white and gold color scheme. "Balsam Hill trees are very realistic and lifelike. We’ve used them before and they’re really fast to set up," they share. 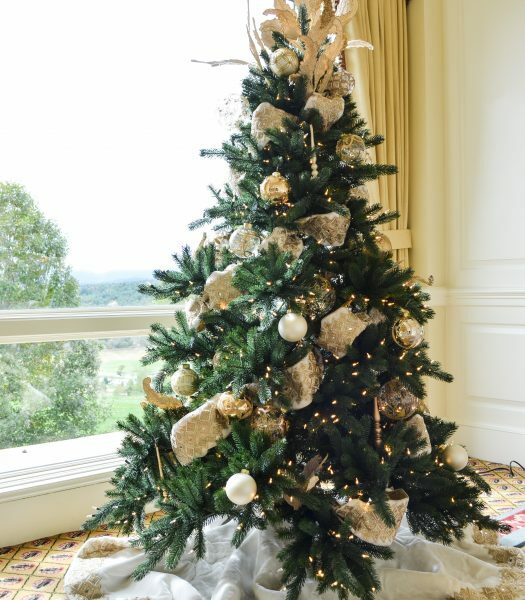 They used Biltmore Legacy Base Ornament Set around the tree and wove in the complementing Biltmore Gilded Ribbon between the branches. "The collection is thoughtful—great attention to quality and detail," describes Christy. For Christy and Amy, enjoying the decorating process itself is important. They found that decorating was easy with the thoughtful designs, attention to detail, and quality of the collection. 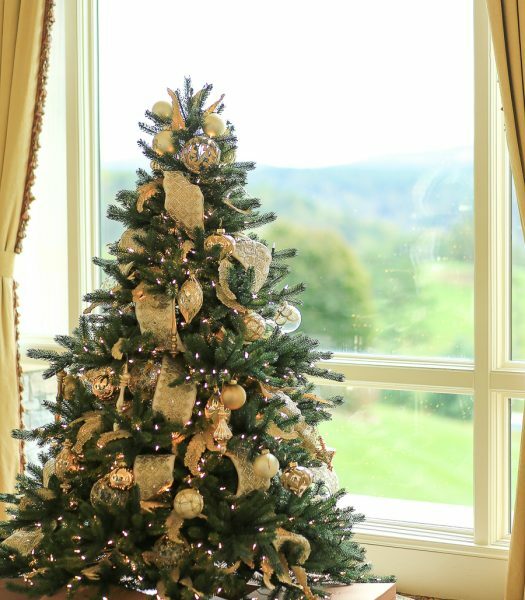 The Biltmore Spruce’s realism and ease of set-up is a great example. 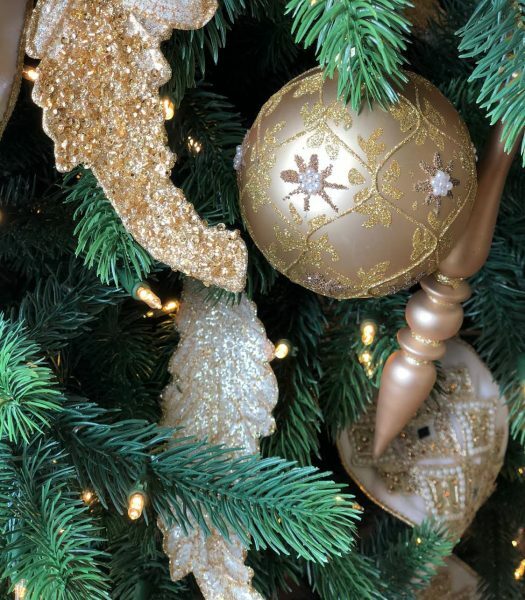 They chose an all-gold theme from the ornaments to the ribbon and the bouquet of acanthus picks they used to top the tree. 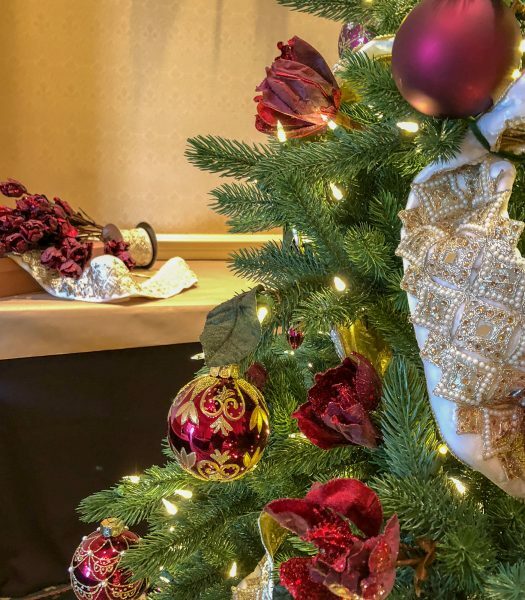 Shelby started decorating her 6-foot Biltmore Spruce Tree with neutral golds and whites then added in a pop of color using burgundy ornaments. "The entire collection is magical," she says. 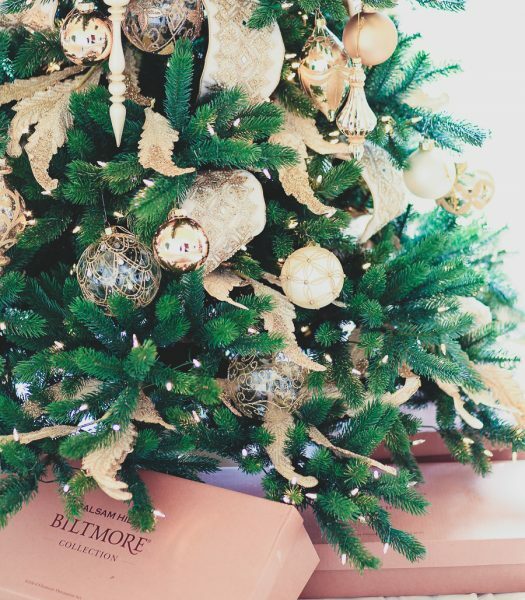 "The merlot tones and elegant embellished gold ornaments couldn’t be more perfect for the Biltmore." You can't go wrong with subtle use of gold ornaments to create an elegant look. Shelby used the Biltmore Legacy Enhancement Ornament Set to set off the rich burgundy color against the more neutral golds and creams. Visit our site for the complete Biltmore collection and share how you’ve styled them in the comments! I love the elegance real Christmas trees well designed.